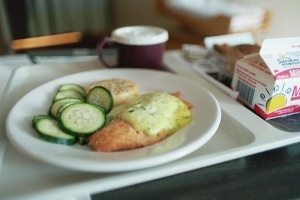 When thinking of hospital food, most individuals shutter at the thought of having to eat it, much less the quality that it will be. Luckily, recent trends in hospital dining show an upswing in not only the variety of offerings, but the health-conscious nature of them. A fresh focus on premium items such as produce and seafood have been a welcome change, especially for the food service department at St. Tammany Parish Hospital. St. Tammany Parish Hospital is located in Covington, La., a short drive across Lake Ponchatrain from New Orleans. Its food service department oversees nutritional needs of individuals through the cafeteria, inpatient services and various hospital functions. Patients, employees, members and visitors look to St. Tammany Parish Hospital for healthier choices more now than ever. Fresh options at national hospitals are on the rise. Crosby has been serving as Executive Chef for 11 years. The trends to help patients make healthier choices and to know where the options are coming from has swept through hospitals across the nation and St. Tammany Parish Hospital is running with it. As menus continue to evolve, local food is being integrated more and more. According to reports, as much as 25 percent of food on the nation’s hospital’s menus were locally sourced in 2017. This year, that number has continued to climb. How much has it climbed? “A lot and growing,” says Crosby when asked how much of St. Tammany Parish Hospital’s food is locally sourced. St. Tammany Parish Hospital is proud to serve only Louisiana farmed catfish. In addition, 80 percent of the shrimp they serve is from Louisiana and Mississippi. Crosby orders his seafood, including jumbo lump crab meat, shrimp, catfish, fresh fish and crawfish weekly from Piazza Seafood. One instance in particular Crosby mentioned, really hits home as to how local seafood impacts patient satisfaction and health. The decision to look for and purchase locally and regionally, including seafood from Piazza Seafood, helps Crosby and the food service department present their customers with not only a nutritional sound dish, but one that they know exactly where the ingredients are coming from. Big thanks to Abry Crosby, for sharing his thoughts on hospital food trends and what St. Tammany Parish Hospital is doing with us. 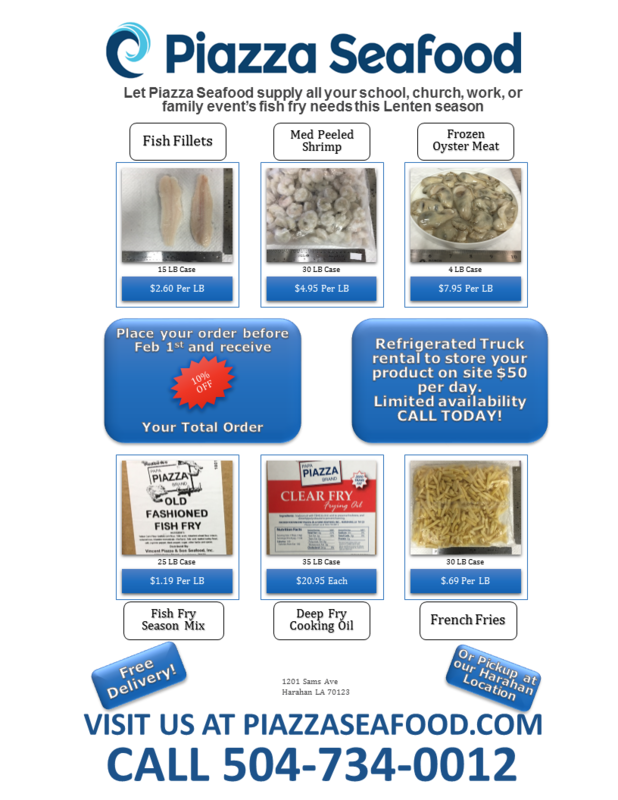 Visit us at PiazzaSeafood.com to find out more and stay tuned for other features from Piazza Seafood Presents.